The foremost responsibility of a Data Center Manager is High Availability. To achieve this, the topology of the modern Data Center has been defined by extreme redundancies. 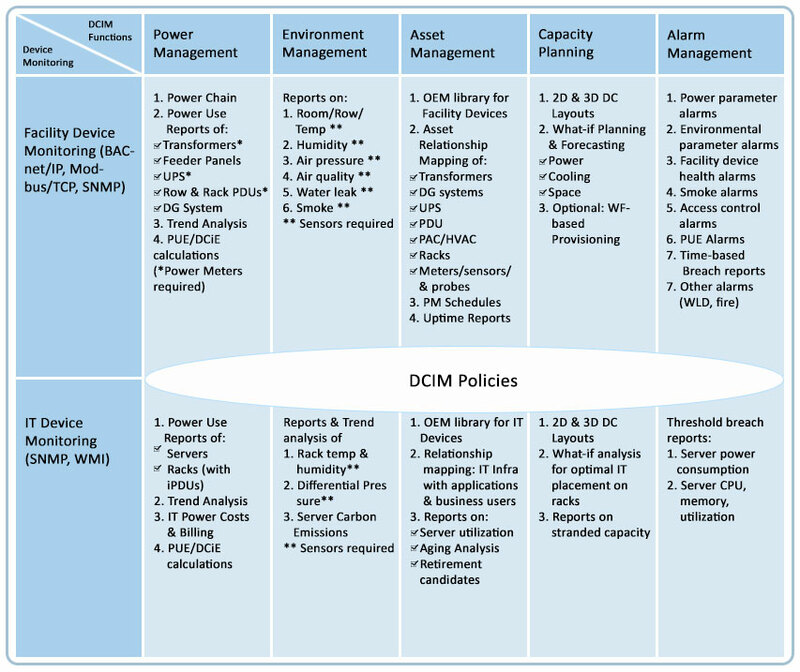 This has made the Data Center capital-intensive, complex and costly to operate. Ironically, extreme redundancies multiply the vulnerable points, as some recent high profile Data Center failures have shown. GreenField Software’s GFS Crane® DCIM Software addresses this DC challenge: how to de-risk the Data Center while helping CFOs & CIOs control over-provisioning or wasteful capital expenditure and reduce operating costs. 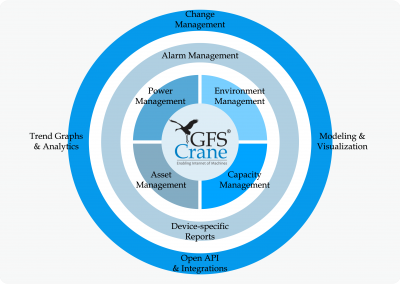 Built with modular functionality within each edition, GFS Crane DCIM provides a complete suite for Data Center Operations, Planning and Management. 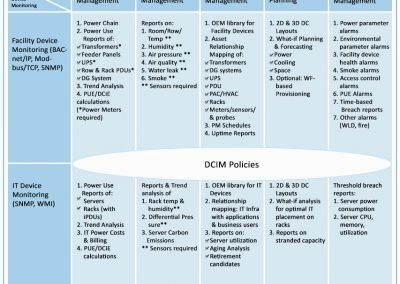 For each edition, GFS Crane DCIM may be licensed as a complete suite or by DCIM Groups or by DCIM Modules.